Thyroid stimulating hormone (TSH) is the hormone produced by your pituitary gland to control the function of your thyroid gland. A high TSH means your pituitary senses that your thyroid is underactive. Many labs are misleading physicians by using outdated ranges of normal for TSH, thus preventing doctors from giving their patients the most effective thyroid treatment they need. The National Health and Nutrition Examination Survey (NHANES III) demonstrated that the mean TSH in apparently normal, healthy participants is 1.4 uIU/mL. Based upon the results of NHANES III, The National Academy for Clinical Biochemistry has recommended since 2002 that a serum TSH level between 0.5-2.0 uIU/mL be considered the optimal therapeutic target for replacement treatment of hypothyroidism. This study found that subjects with a TSH in the upper “normal” range (2.5-4.5) had a significantly higher BMI, higher fasting triglycerides, and their likelihood for fulfilling the ATP III criteria of the metabolic syndrome was 1.7 fold increased. The study concluded that a TSH above 2.5 is associated with an unfavorable metabolic profile. In the event your TSH is above 2.0 it is my opinion you should first NOT accept this as normal and second you should seek a health professional knowledgeable in the identification and treatment of thyroid disorders. Most physicians will ignore a TSH of 2.0 and insist that this is normal. I beg to differ and would suggest that you demand that your doctor order a total T4 and T3 and a free T4 and T3. I would also recommend you ask your doctor to order an Anti-thyroid peroxidase (anti-TPO), Thyroglobulin Antibodies (TgAb). I have worked with many patients who were told their TSH was perfectly normal and soon discovered after running the above labs they had full blown Hashimoto's Disease. 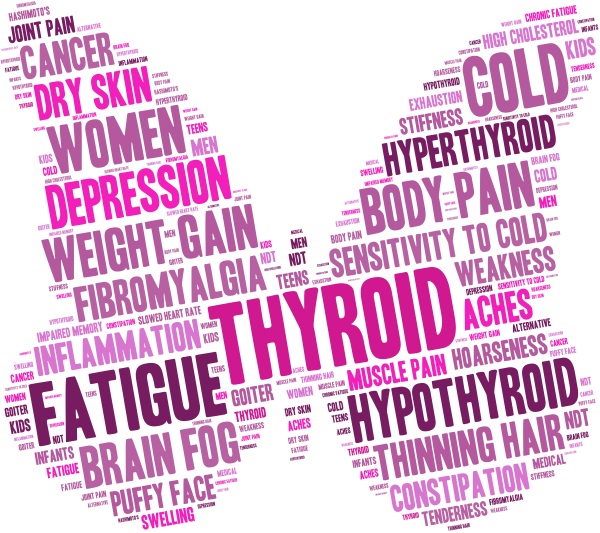 This is an auto-immune disease of the thyroid. Don't be a victim to what some doctors consider a normal TSH. Fight for your right to achieve optimal health. This content may be copied in full, with copyright, contact, creation and information intact, without specific permission, when used only in a not-for-profit format. If any other use is desired, permission in writing from Dr. Grisanti is required. © 2018 Sequoia Education Systems, Inc. All Rights Reserved. Reproduction without permission prohibited. For more details about the natural approach I take with my patients, take a look at the book I wrote entitled: Reclaim Your Life; Your Guide To Revealing Your Body's Life-Changing Secrets For Renewed Health. It is available in my office or at Amazon and many other book outlets. If you found value in this article, please use the social sharing icons at the top of this post and please share with those you know who are still suffering with chronic health challenges, despite receiving medical management. Help me reach more people so they may regain their zest for living!